Looking Ahead To 2015: Starting Rotation | One Strike Away...Twice! Here’s the most telling stat on how the Texas Rangers fell from a perennial playoff team with 90 wins to the 67-95 mess of 2014: Texas used THREE complete starting rotations in one year. That’s right, 15 different pitchers got at least one start for the Rangers in 2014. If a member of the rotation never misses a start, he’s on track to make 32 or 33 starts. For Texas, not a single starter managed even 30 starts and the pitcher who had the most starts, 29, didn’t even play in 2013, was coming back from hip replacement surgery and posted a 6.54 ERA after his first 16 starts. Yes, 2014 was a disaster from the get go for the Rangers pitching staff. 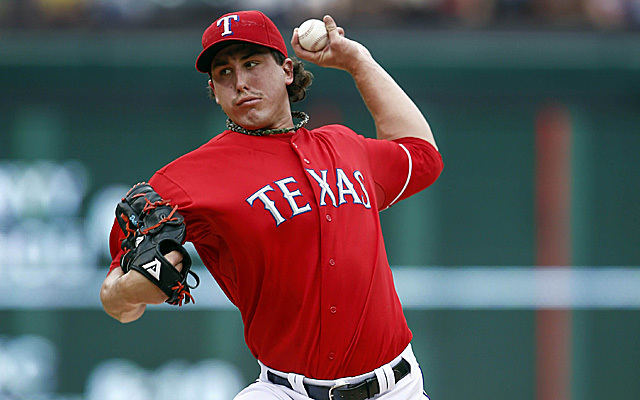 It began before Spring Training even arrived, with Derek Holland messing up his knee in a home accident involving a flight of stairs and his dog. 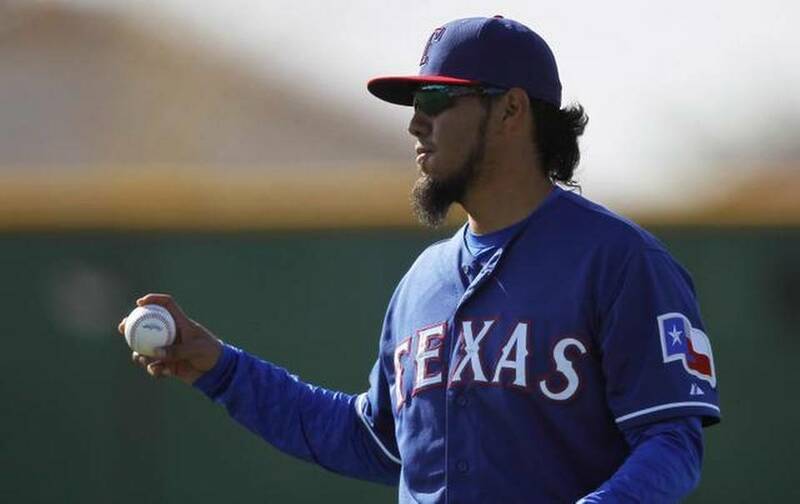 Thanks to a stiff neck, ace Yu Darvish got scratched from the Opening Day assignment and replaced by Tanner Scheppers, making his first ever major league start. Among the names getting a start in 2014 were Robbie Ross (12), Miles Mikolas (10), Scott Baker (8), Joe Saunders (8), Lisalverto Bonilla (3), Jerome Williams (2) and Phil Irvin (1). More well-known names started but fell by the wayside. Second-year Martin Perez threw back to back complete game shutouts in April, then went down for the dreaded Tommy John surgery in May. Matt Harrison appeared on the comeback trail from back issues and thoracic outlet surgery, but lasted only four starts before back issues resurfaced. His career is in jeopardy. 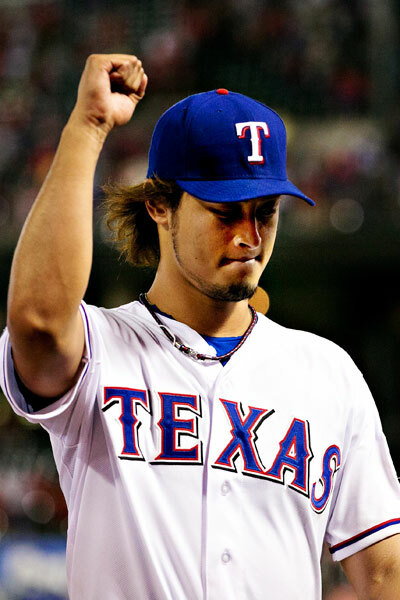 Lastly, Darvish began experiencing elbow discomfort and wound up making only 22 starts before calling it a season. There’s no question Darvish is the ace of the staff. On any given night, there’s the potential for greatness. Darvish has the biggest arsenal of pitches most anyone has seen. At any given time, a hitter can expect one of 8 to 10 different types of pitches. Yu is temperamental and will often shelve a pitch for good in the first inning if he feels it isn’t working that day. Still, he’s good for 15 wins or more for the season. 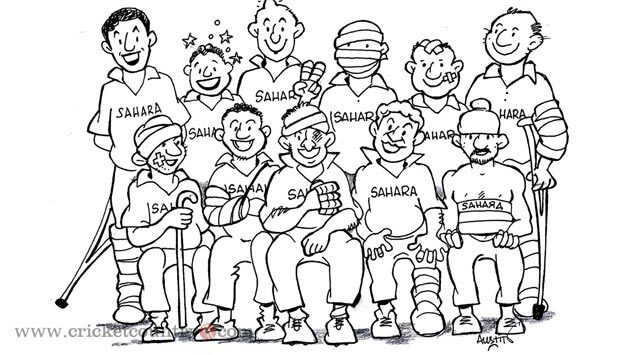 It was Dutch who suffered the first injury going into 2014. If the results he showed upon his return in September continue in 2015, this could be a special year for the lefthander. Holland made five starts down the stretch in 2014 and posted a 2-0 record with a 1.46 ERA, going seven innings in four of the five starts and giving up two earned runs or less in all of them. Holland has been inconsistent throughout his big league career but his 4-0 win over the Cardinals in Game 4 of the 2011 World Series ranks as one of the best performances in Rangers history. He’s got the stuff. By all accounts, last year’s injury has upped his desire. If Derek gets consistency, he could easily add another 15 wins to the Rangers total. Gallardo is the new kid in town, a guy who lives in Fort Worth in the off-season and now truly gets to plays his home games at home. Gallardo is an innings eater and, as he’s gotten older, has become more of a ground ball pitcher than a strikeout machine. Ask Matt Harrison and CJ Wilson how that ground ball thing works out in Arlington. There’s reason for excitement about having at least a year of Gallardo (he becomes a free agent at season’s end). He was once the ace of the Milwaukee Brewers staff. Now he’s a #3. That’s something to feel good about. It’s incredible to believe that Colby Lewis led the Rangers staff in starts with 29 in 2014. As mentioned above, this is a guy who didn’t even play a game in 2013. After blowing out an elbow near the end of the 2012 season, Lewis’ arthritic hip added to his woes, finally getting to the point where his career was in jeopardy. After getting his hip shaved, Lewis began a long rehab process. As much as a thank you for his contributions during the World Series years as anything, Lewis got the chance to rehab in the minors. Who knew the injuries on the big league club would bring him back to Texas in mid-April. The results weren’t good the first half of the season. Just looking at box scores and statistics, one might think Lewis merely suffered from bad luck from the BABIP gods but those of us actually watching the games knew differently. Colby got shelled often. His pitches weren’t fooling anyone and he wasn’t hitting his spots. 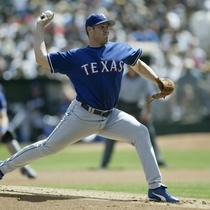 Remember, though, this is a guy who was still getting used to pitching without pain when putting pressure on the hip. Once he started getting used to it, the results were outstanding. From July 19 on, Lewis was only 4-8 but his ERA was 3.86. 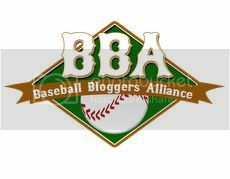 The BABIP through July 18 was .410. The rest of the way it was .267. Now Texas has the fully rehabbed Lewis for a full season and as their #4 starter instead of #2. This is the reason for optimism about the Rangers. A former #1 is now a #3, the former #2 is now the #4 and two of the guys fighting for the last spot were the #3 and #4 pitchers a year ago. This bodes well for the Rangers. It certainly gives them more depth than they had a year ago. Nick Tepesch (5-11, 4.36) and Nick Martinez (5-12, 4.55) are the incumbents. Martinez was here by necessity a year ago after never having pitched above AA all year. Despite staying all year, he’d surely benefit by at least beginning the year at AAA. For Tepesch, this is his third year with the Rangers. He needs to show improvement, particularly in facing the opposition batting order the second and third time. He still has at least one option so he could also go to AAA for a while. Martinez and Tepesch will compete with Lisalverto Bonilla, who pitched decently in three starts, newcomers Ross Detwiler (Nationals) and Anthony Ranaudo (Red Sox) and possibly top prospect Alex “Chi Chi” Gonzalez. Some have Gonzalez pegged as a possible surprise winner, but GM Jon Daniels would like to get him some more seasoning and not rush him. Before the first exhibition game is in the books, Detwiler and Tepesch are the likely front-runners. He isn’t available until after the All-Star break at the earliest but Martin Perez will be ready to pitch again this season. Meanwhile, there’s no telling what will happen with Matt Harrison. Nobody has ever attempted to return from the type of back surgery he had. Harrison could come back or his career could be over. If it’s the latter, he can retire knowing he was a vital part of two World Series teams. No matter how you slice it, this is a much deeper starting rotation than the Rangers had a year ago. It may not stack up in quality to the Mariners rotation or even the A’s but it has the potential of being a very good staff, not to mention one able to withstand an injury or two.